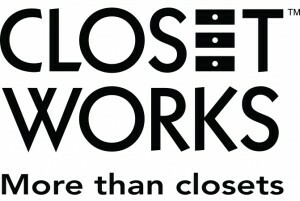 Closet Works is the largest non-franchised custom home storage solutions and closet organization company in the U.S. Closet Works has been crafting sanctuaries and creating a sense of order for Chicagoland homes for over 30 years. We are currently seeking responsible, skilled, and motivated candidates to join our growing team! The role of the Closet Designer is via in-home design consulations to plan and design residential or commercial storage solutions for the closet, pantry, and home office. The Designer must present the Company’s products and services effectively and thoroughly to each prospective customer, utilizing all sales support materials made available by the Company. Compensation/Benefits: Full commission compensation with unlimited income potential; along with monthly bonus incentives. Paid training up to 12 weeks, and all the tools necessary for success - quality company-generated leads, company laptop, smartphone, product samples, marketing materials, and parking reimbursement. Flexible work schedule. Great benefits including: medical, dental, life, 401K with company match, benefits available to full-time employees only.